What did they really think they were voting for..?! Back in 2014, I was lukewarm towards IRES – it seemed cobbled together, and commercial property appeared to offer more obvious gains & investor interest. But since then, the Irish media (& in turn, certain politicians) have become increasingly hysterical about foreclosures, evictions*, mortgage rates, and the general housing crisis**. [*Apparently, a landlord deciding not to renew a lease is now deemed an eviction by some… **For overseas readers, it may be hard to keep up: The housing crisis no longer refers to the huge Irish price collapse…it’s now an appalling shortage of housing, just a few years later!?] We’ve also seen widespread criticism of the Central Bank’s new mortgage regulations…generally by the same people who criticised the Bank for its lack of regulation in the boom years! Ironically, all this attention is fueling a continued rise in residential property prices (exacerbating the very housing ‘crisis’ they’re wringing their hands over!). Just as importantly, it’s re-directed investor interest – IRES is now the highest rated Irish property stock, in terms of premium to book. It’s certainly a unique story: IRES is already the dominant professional residential landlord* in Ireland, focusing on Dublin apartments, which perfectly captures an ongoing generational shift (as we’ve seen in the US) towards urban living, delayed marriage & kids, and an increasing preference to rent vs. own. [*Plus the only landlord with experience of N American apartment amenities & management – which offers interesting potential in what is still a relatively unsophisticated market]. Um, apologies, the blog’s been quiet since early last month – though I’ve certainly been keeping up with readers via Twitter…Good Lord, I’m now up to 25K+ tweets!? 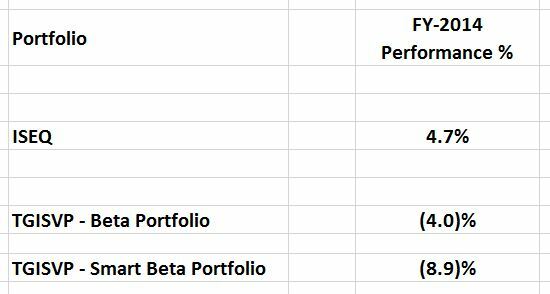 Actually, I’ve been more than usually focused on stocks both old & new in my portfolio. Which seem to be increasingly bifurcated between special situation stocks where I continue to engage with/push management to enhance and realise shareholder value, and growth stocks (at the right price) where I can sit back & watch smart management compound shareholder value over time. Hmmm, put it like that & growth stocks seem like the far more compelling choice..!? Though in reality, each presents their own unique risks/opportunities. And for me, somewhat perversely, one tends to inspire the other…dealing with recalcitrant management can inspire me to seek out smartly managed growth stocks, but actually seeing it done right, such companies also highlight the compelling value lurking out there just waiting to be tapped (sometimes, literally, overnight) if only management would come to their senses (or a third party steps in & does it for ’em). Anyway, a little break’s a good thing – and we’re all feeling much better now, with most markets recovering their Jan/Feb losses this month. Hopefully, this new-found momentum will continue (at least ’til the usual ‘Sell in May & go away’ debate! ), as markets generally remain flat/down over the past year – it’s been a tough period for nearly all concerned (spare a thought for those poor billionaire hedge fund managers! ), clearly exacerbated by oil’s elevated volatility & influence. Maybe I should kick off with an update…but if you’re a current (or potential) shareholder, how can we avoid the elephant in the room? Yeah, I’m talking about the early-Aug announcement of a possible EUR 0.20 per share offer for Zamano. The one where investors were subsequently left in the dark for nearly three months, only to learn in late-Oct bid discussions had actually been terminated (no further details were provided). I’m sure plenty of shareholders have been experiencing the five stages of grief since, and who can blame ’em really…it must feel a lot like getting jilted at the altar! It’s encouraging to note recent (& historical) growth clearly doesn’t require increased cash investment. But let’s not fool ourselves, management’s enjoyed some attractive tail winds here. With 80% of the business now coming from the UK, sterling strength is a significant top-line contributor. The EUR/GBP rate averaged 0.8491 in 2013, and now it’s 0.7046 – that probably accounts for 25-30% of the post FY-2013 revenue increase. And with the UK & Ireland being two of the best economies in Europe (in terms of GDP growth/recovery & declining unemployment), increased consumer spending is another substantial tailwind. Plus, there’s a renewed emphasis on B2B – and while that delivers a more stable/durable revenue stream, it also means lower margins & a lagging EBITDA (which increased 19%, to €3.1 million) over the same period. NB: I should immediately note Denis O’Brien is not selling any of his shares in the upcoming Digicel IPO. And why should he…when the company’s already after paying him $1.1 billion in dividends over the last 3 years. Surely that will keep the home fires burning for quite some time to come!? So, ever since Denis O’Brien started popping up at regular intervals on CNBC & Bloomberg, maybe eighteen months ago now, I just knew in my gut he had a whopping great IPO in the works… Fast-forward, and Digicel’s now billed as the largest ‘Irish’ IPO ever, a revised F-1/A was just filed with an indicative $13-$16 per share price range, and its NYSE IPO is just about ready to drop. With everybody & their mother talking about it (well, except for Johnny Ronan’s fat mouth), how can I resist chipping in my two cents..?! 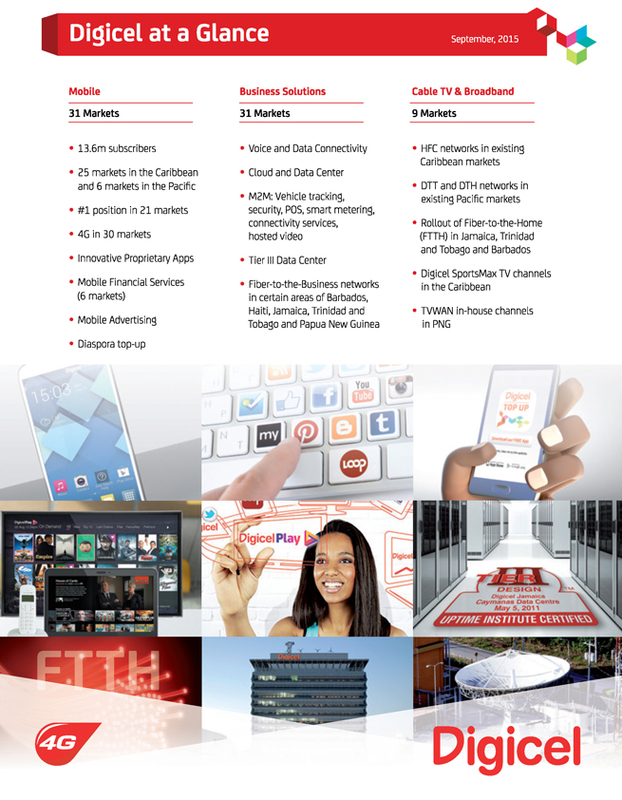 Let’s kick off with an introduction: Digicel Group is a leading provider of mobile communication services in the Caribbean & South Pacific regions. Its mobile subscriber base has grown from just 0.4 million in 2002 to a total of 13.6 million subscribers as of Jun-2015 (an impressive 31.7% CAGR). It now enjoys a number one position in 21 of the 31 markets in which it operates. – I managed to cover a grand total of 81 Irish companies, from the beginning of Feb ’til end-May last year – except for NTR plc, a new Wexboy portfolio holding I wrote up last August. – I obviously referenced the latest share price when assessing each company’s individual valuation & upside potential. And March-30th was an appropriate mid-point date for the entire exercise, so I’ll adjust my benchmark accordingly: Keeping things simple, I’ll use the closing price level on that date as a starting value for my ISEQ Index performance.